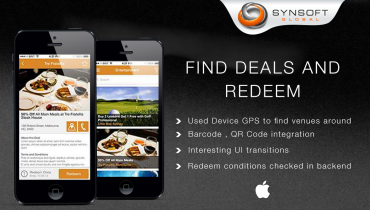 A geo-location based company-location finder app developed for iOS using Objective C, XCode. 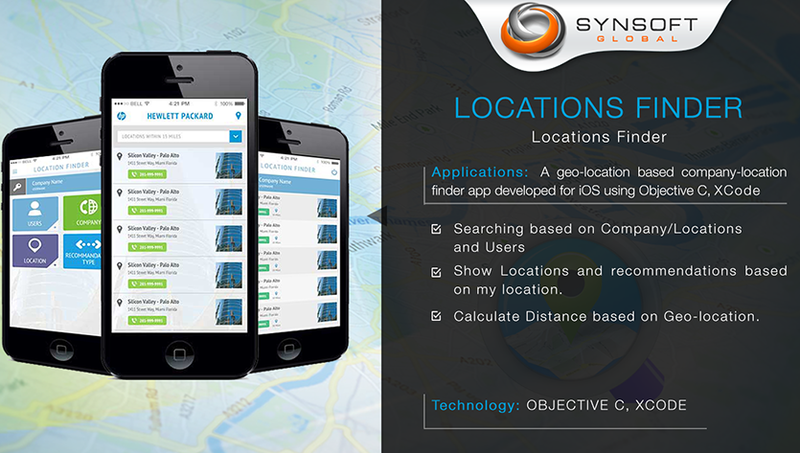 This app helps to find different locations of Companies within a specific radius of the user’s current location. The distance is calculated using the Geo location API. 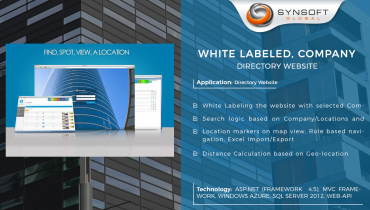 When a user from a particular company logs in, it displays the company’s complete information. 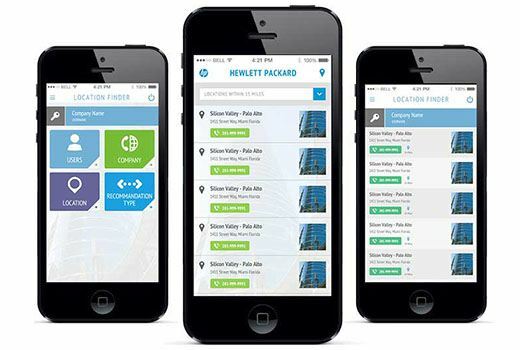 User can search and view the list of company locations with addresses and maps, Contacts for each Location, and the Recommended Hotels, Attractions etc. around each Location. 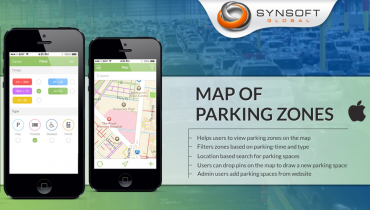 Using this Geo-location based app, company end users can search and view company information, its locations and other users in the company. The app shows the distance of the selected location from the user’s current location, location contacts, map, directions to reach the location and recommendations (places nearby like hotels, airport etc.). 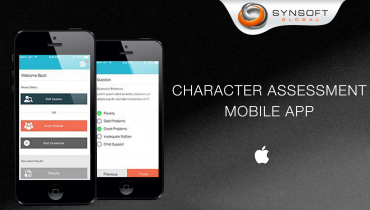 Special instructions and special directions are an added feature to help the user to find the desired location. The map view shows the different locations of a company within a range of 50-500 miles. Show Locations and recommendations based on my location. Calculate Distance based on Geo-location. Location markers on map view.